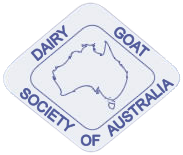 This Code of Ethics establishes a standard of conduct to be followed by all members of the DGSA Ltd in the normal course of owning, breeding, milk testing, exhibiting for show and selling of dairy goats. Breeders must be aware of their responsibilities and aim at all times to conscientiously maintain the highest possible standards of production and type of dairy goats. I will at all times, whether at home, travelling, at shows or in public areas, display good sportsmanship and conduct myself in such manner as will reflect credit on the DGSA Ltd and dairy goats.